Remember that cringe-worthy thing you said to that really important person that one time? How about the time you took a tumble in front of your entire school? Or when you slept through your alarm and were late to a job interview? Wouldn't it be great if you could manipulate time and make those moments disappear? 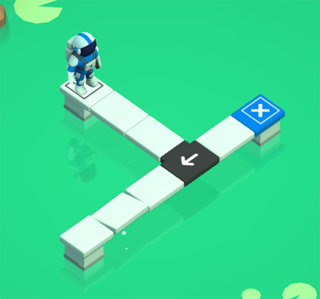 In Causality, a gorgeous new puzzle game from Loju Games, you are granted the power of time manipulation to help a group of astronauts stranded on a distant planet. Each level of the game presents you with one or more lost astronauts positioned at various points along a path. The aim is to get each astronaut to his or her corresponding coloured square on the path. Arrows on the path direct the astronaut's movement, and you can change the direction of the arrows by clicking on them. Various other obstacles will be thrown in your way as you progress through the levels, but you can save your astronauts from their doom by dragging the mouse (or your finger) up and down the screen to fast forward or rewind time. The first few levels are pretty simple, and there's a tutorial if you get stuck. However, things quickly get more complex and later levels require a lot more manipulation to solve. The direction of an arrow might work for one astronaut but not another, and multiple astronauts will quickly start getting in each other's way. You also have a limited amount of 'time' to use on each level before everything grinds to a halt. Chuck in a few cloned astronauts and things get increasingly complicated. Be warned: most the later levels are not easy! The idea of a path-based puzzle game is not new, nor is the idea of manipulating time to alter the outcome of a level. 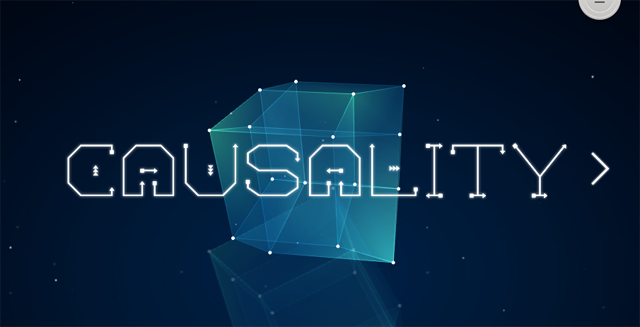 But Causality manages to integrate the two concepts seamlessly and the resulting game mechanics are very smooth. The benefit of the time manipulation is that you don't have to reset an entire level if you mess one thing up - you can just rewind to the last point where you had everything correct and try again. The game is also visually stunning. The lack of backstory might be a detractor for players who are looking for more than just a straight puzzle game. We don't find out who the astronauts are, or why they are lost on this strange planet. The mechanics can also get slightly irritating after a while - by the later levels, I was wishing for a 'play' button that would let the astronauts wander around of their own accord instead of requiring me to constantly scroll up and down. Despite these minor criticisms, this game will appeal to puzzlers who just want a simple but mind-bending challenge. A browser demo of Causality is available on Newgrounds, and if you like the concept you can purchase the full game on Steam, iOS or Android. This is really clever. Enjoying the demo, but already stumped at lvl 204! 204 in the demo is the point at which that particular game mechanic made sense, after seemingly making no sense before. You want to activate it as late as possible to buy more time, while getting as much done as possible before you warp. Hit both buttons as early as possible (arrows up and left), then enter the portal (arrows up and right). the portal can only be used once, will spit the astronaut out the same direction he entered, and you can't complete the level if you create a paradox. The last demo level makes you consider all of these, and other things! Aha! I got the part about the paradox, but not the part about the time vortex being tied to the diamond. That makes all the difference! I went ahead and bought the app, even without understanding this. I think it will make the game a lot more fun. Are there more surprises to come? I hope so! I love this game I can play it for hours and days without sleep that how much i love this game and i also think this game should get a lot of good rates and stuff because this is a good game my daddy likes this game and he would never give me back my phone and my mom so i think u should buy this awesome game. 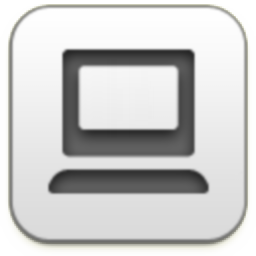 Recently got this app from Tutuapp.vip free version.